The dramatic West Cape Howe National Park located 30 kms west of Albany and is the most southerly point of Western Australia. Next Stop Antarctica. West Cape Howe National Park contains the most southern point in Western Australia, Torbay Head and bears the force of the Great Southern Ocean. Located 30 mins south-west of Albany, West Cape Howe National Park is home to Shelley Beach, and the lookout where platforms are built into the side of the hilltop for hang gliders and paragliders to launch. 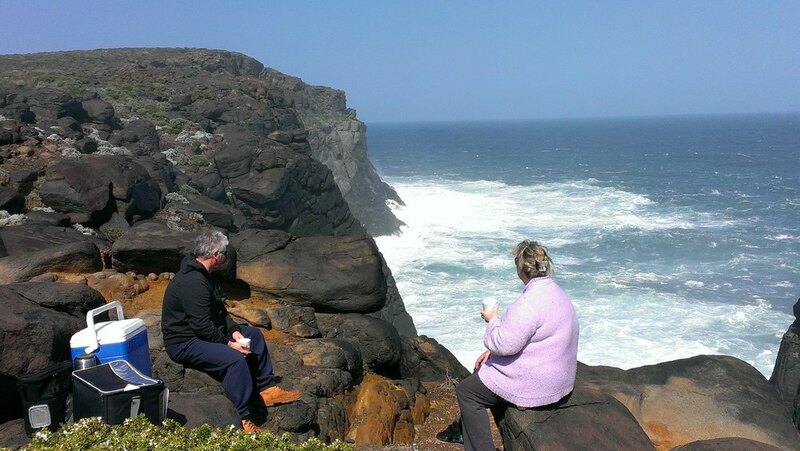 The walk to Torbay Head, the southern-most point, is a 15km round trip hike on undulating terrain with little shelter. The beginning of the walk is part of the Bibbulmun Track.